Classic lines in a gorgeous two-tone linen and elm finish are the highlights of this 7 piece dining set from RC Willey. The large dining table will allow you to gather all your loved ones together as it seats 10 in the comfortable upholstered chairs. The lovely soft white linen finish will beautifully complement the design elements of any home. This dining set is the perfect centerpiece to creating a dining space you'll enjoy for many years. Set includes table, four side chairs and two arm chairs. 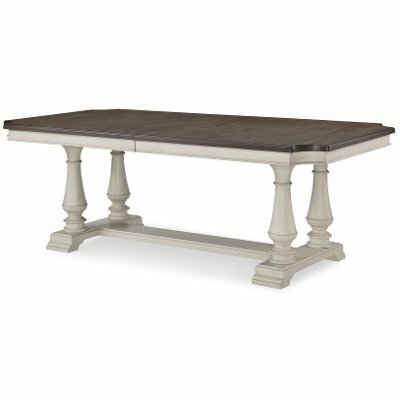 The linen and elm finish on this gorgeous trestle dining room table will give you all the heart eyes - and RC Willey has it! Not only is it lovely to look at but you can seat all of your favorite people around it as it extends to 120" with the two 18" leaves. Bring on Sunday dinners and all the get-togethers because you're going to have a great time decorating this table for every special occasion possible....or a random Tuesday. You'll want to add plenty of these lovely upholstered dining room chairs around your Brookhaven dining table! 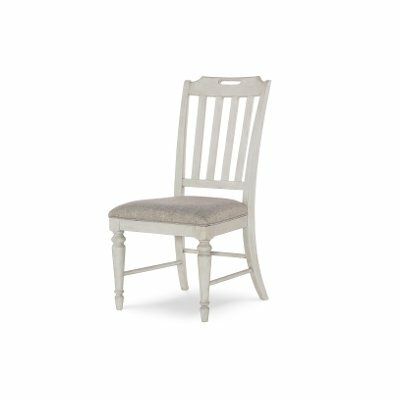 RC Willey has the dining set that is perfect for you and your family and sometimes, that means extra chairs! These chairs are comfortable, a great classic design and have a fantastic neutral finish. You'll be so glad you have extra chairs any time you have company. 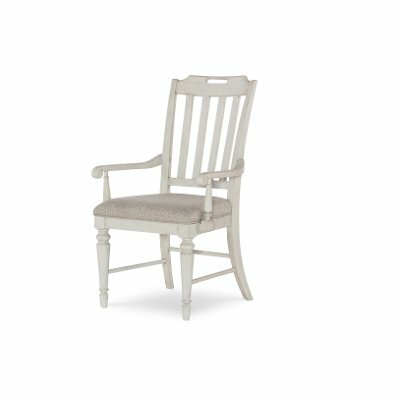 This linen dining arm chair, available from RC Willey, is the perfect complement to any dining room. It is comfortable, stylish and classic and all highlighted by the lovely linen finish. 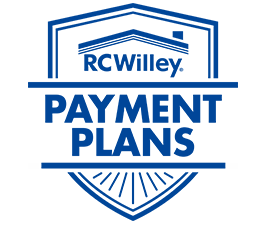 Includes (2) 18" leaves that expand the table to 102" and 120"